Whether you're looking for a double, robust packaging or you have just too large product to wrap, the new central fold shrink film is perfect for your use. Now showing the options for "100 Gauge"
Whether you are a business owner looking to safeguard your cartons, or someone just looking to simply packing some of your stuff, the need for having a strong tool to wrap your products is always present. We offer our central fold PVC shrink film for your all your shrink wrap projects. 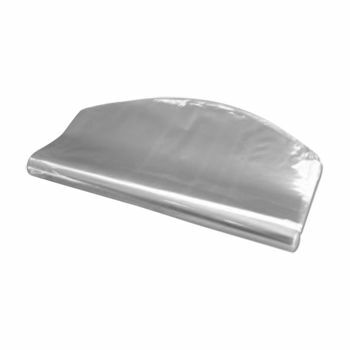 This excellent product is crystal clear and can be used with all types of heat sources.A great thing about our shrink film is that it is a central folded shrink wrap, which means that it becomes double in width open unfolded. This allows you to cover even the largest items. You can fix this excellent shrink film with a manual heat gun and then use a blow dryer to shrink the wrap to a tight fit. This high-quality Dura shrink film is perfect for automatic machines as well.